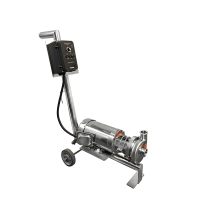 Our stainless steel pump carts are FULLY factory assembled & tested. They are plug and play, easy to use. We will program your Variable Frequency Drive (VFD). 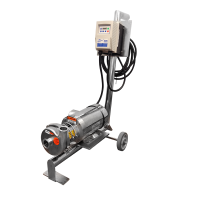 Our pumps are manufactured in ISO 9001 facilities and meet 3A and FDA guidelines. We provide reputable makes such as , , , , , , , and . 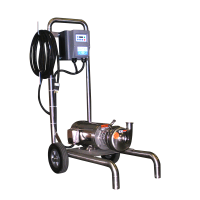 We will also build your custom made pump dolly to meet your needs…. Send us a hand sketch and let’s get started. We will select the right motors, drives, electric starters for your application.